On a nice day, a San Francisco Bay cruise is a good way to rest your tired feet and see the city from a different angle. You have a lot of options. You can do a traditional sail around Alcatraz and under the Golden Gate Bridge or take a fascinating trip to other locations and go on sunset sails, dinner cruises, tours, and ferries. A bay cruise is one of San Francisco's top-rated things to do. We've organized this San Francisco Bay cruise tours guide by activity, to make it easier for you to pick the one that meets your needs. If you're thinking about taking one while you're in San Francisco, they're often included with multi-attraction cards like Go Card or San Francisco CityPASS, but one of the cheapest places to get them is through Goldstar. These San Francisco Bay cruises will take you around Alcatraz, under the Golden Gate Bridge, and along the waterfront west of Fisherman's Wharf. They'll last from an hour to 90 minutes. Red and White Fleet: Leaves from Pier 43 1/2 near Boudin's and Fisherman's Wharf. Includes audio headset narration in eight languages. They offer two cruises: a one-hour bay cruise that takes in Alcatraz and the Golden Gate Bridge and a 90-minute Bridge 2 Bridge tour, which adds a loop around the Bay Bridge. Blue and Gold Fleet: Leaves from Pier 41. AdventureCat: The unique thing about this cruise it that you'll go on a 55-foot sailing catamaran. It leaves from J Dock next to Pier 39. Blue and Gold Fleet: Pier 41 to Sausalito and Tiburon. Golden Gate Ferry: Ferry Building (near the Bay Bridge) to Sausalito. If you want to tour the former prison on Alcatraz Island, don't let the advertisements fool you. You can see the island from many cruises, but if you want to set foot on it, there's only one choice: Alcatraz Cruises. They leave from Pier 33 near Fisherman's Wharf. Combine this tour with a visit to Angel Island on the same day for an "Island Hop." 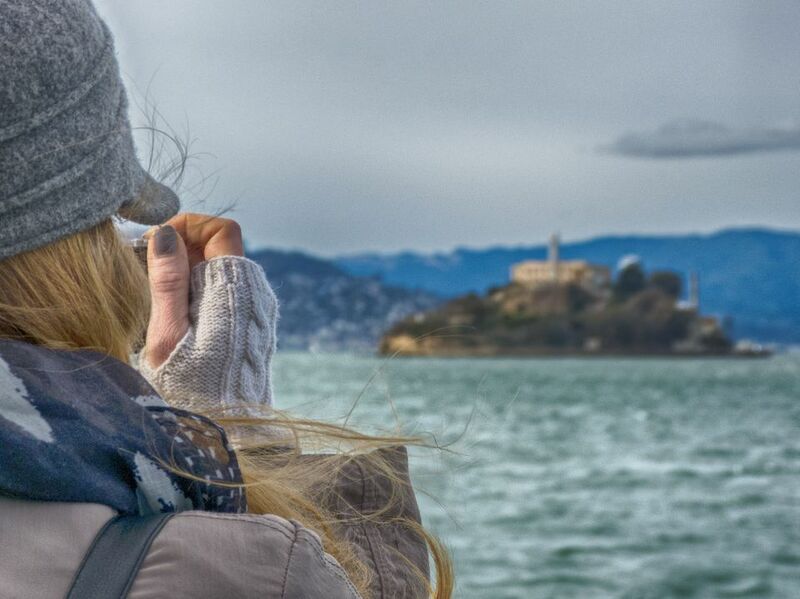 To ensure you get an Alcatraz tour when you want it, reserve at least one week in advance. Blue and Gold Fleet: Leaves from Pier 41 at Fisherman's Wharf. They offer a visit to Alcatraz on the same day for an "Island Hop." Angel Island-Tiburon Ferry: Leaves from the town of Tiburon. Red and White Fleet: Leaves from Pier 43 1/2 near Boudin's and Fisherman's Wharf. The cruise includes drinks and Italian-style appetizers. These sightseeing tours are available early April through early October only. AdventureCat: A 55-foot sailing catamaran leaving from J Dock next to Pier 39. Their two-hour sunset cruise includes light hors-d'oeuvres and two complimentary drinks. Hornblower Dining Cruises offers champagne brunch, dinner, and dancing cruises. Some cruises do not run on December 25. Many of the companies listed above offer special Fourth of July fireworks cruises and special outings during Fleet Week in October. The San Francisco Yacht Club's "opening day" is the last Sunday in April (except when Easter falls that day) and their big boat parade makes for an extra-festive time to go on a cruise. If you're especially prone to motion sickness or the water is extra rough, take your usual precautions. The AdventureCat catamaran is also more stable and may be a good choice for you. Take a sweater or jacket. You can leave the dock in warm sunshine and return 90 minutes later to a cold fog. Reserve ahead if you're concerned about availability, but be sure you know about the cancellation and no-show policy. Don't forget your camera. If you're trying to take pictures of things as you're sailing past, try to keep the subject centered in the same spot in your viewfinder instead of your normal still-as-possible technique.